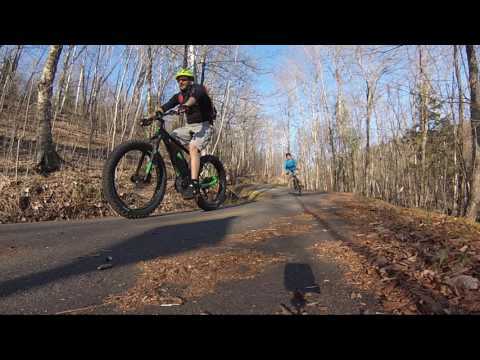 This introduction e-bike is a 60 minute tour allowing you to discover the magic of riding an electrically-assisted bike while exploring the forest trails of beautiful Mont-Tremblant. Included Local guide, e-bike and helmet. Notes All participants must be at least 14 years of age and +, and must be of size greater than 5 feet (152 cm). This tour explores the surrounding area of Mont-Tremblant with a e-bike (electrically assisted bike). You will browse hilly circuits along La Riviere de la Diable and you will venture by trail through forest. By the end you will have been enamored by all the charms of Mont-Tremblant. You’ll also certainly have the chance to tame small birds or our famous white-tailed deer.